Grand Sirenis Riviera Maya Resort & Spa announces the addition of Tulum-Akumal, the newest marine attraction by Dolphin Discovery in the Riviera Maya area. The dolphinarium, which opened in June, offers resort guests a once-in-a-lifetime opportunity to learn about, view, and play with Atlantic Bottlenose Dolphins. “We are very happy about this collaboration with the world’s leading company of dolphinariums. Swimming with dolphins is an unforgettable one-of-a-kind vacation experience for resort guests and represents a bonus to any guest staying at our hotel,” said Don Abel Matutes, Sirenis Hotels & Resorts President. Set along the eastern shores of Riviera Maya, the Tulum-Akumal dolphinarium is a saltwater lagoon with breathtaking panoramic ocean views. As a member of Alliance of Marine Mammals Parks and Aquariums (AMMPA), Dolphin Discovery adheres to the highest standard of training and care of marine mammals. With a commitment to excellence, Dolphin Discovery has created a safe environment for both dolphins and guests. The oceanfront setting is home to four Atlantic Bottlenose Dolphins – Charly, Athos, Gigio and Porthos. Visitors can get an up-close perspective and understanding of the dolphins while floating in the lagoon, standing upon an underwater platform or on the observation deck encircling the lagoon. Dolphin Discovery offers three unforgettable programs. Dolphin Encounter allows all family members the chance to get involved with the dolphins, where children as young as one receive a kiss, hug, and handshake from their new marine friends. Even more playful interactions during Swim Adventure and Royal Swim make for up-close, memorable experiences available to participants six years of age and up. 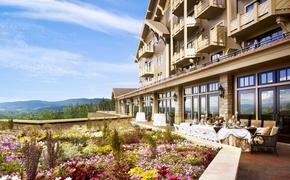 Rates start at $39 for infants, $89 for minors and $119 for adults. 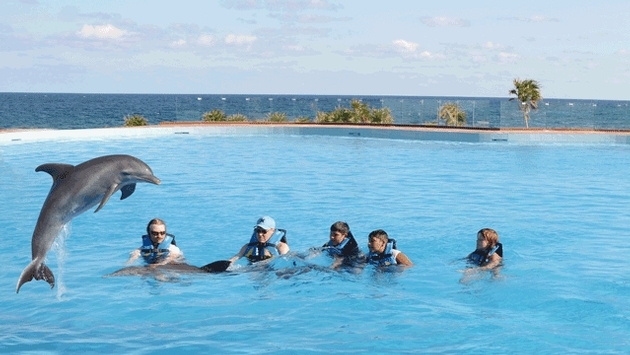 When on property, Grand Sirenis guests can also ask about exclusive Dolphin Discovery promotions. In addition to all of the great included activities at Grand Sirenis Riviera Maya Resort & Spa, this new facility located next door provides yet another fun on-property adventure without having to travel to another location. For details or to book a Dolphin Discovery reservation, please visit www.dolphindiscovery.com.For more information about Grand Sirenis Riviera Maya Resort & Spa or to book resort reservations, visit www.sirenishotels.com or call 786-230-1059.